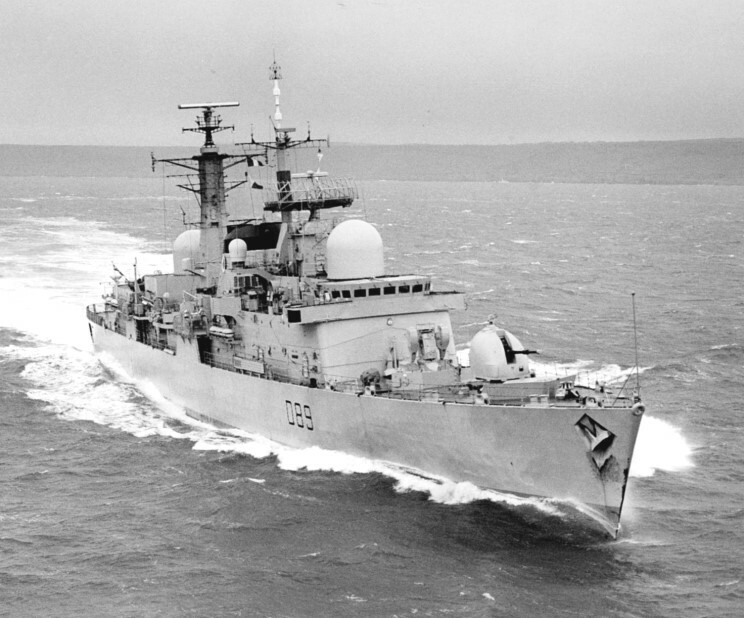 HMS Exeter D-89 seen in the 1980's testing the Nuclear, Biological, Chemical Defence Pre-Wet system. 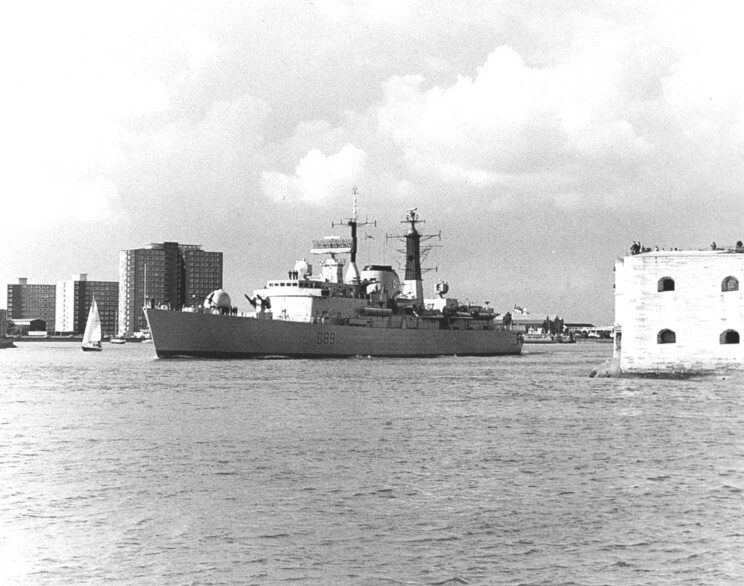 HMS Exeter D-89 departing Portsmouth, England, Gosport is seen in the background. 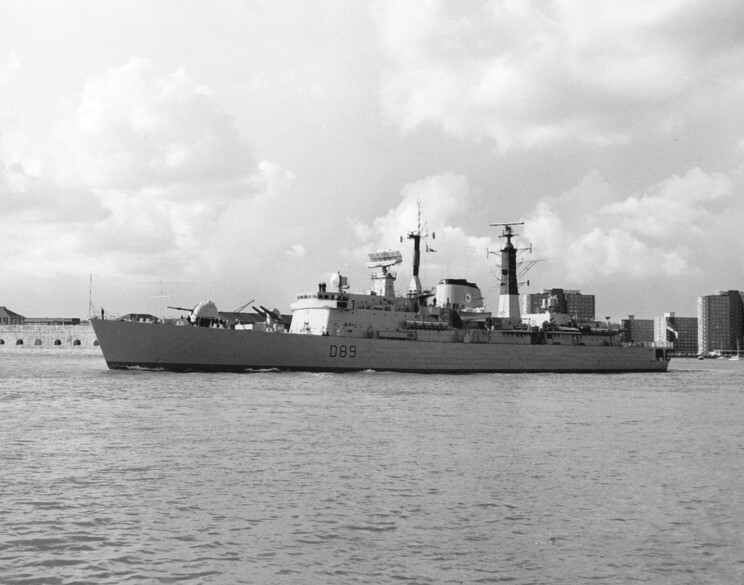 is seen in the left background. 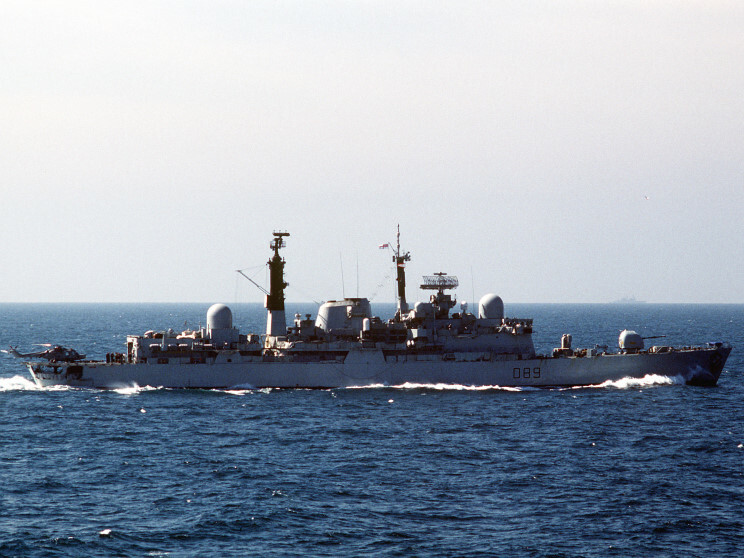 HMS Exeter D-89 seen in the 1980's. 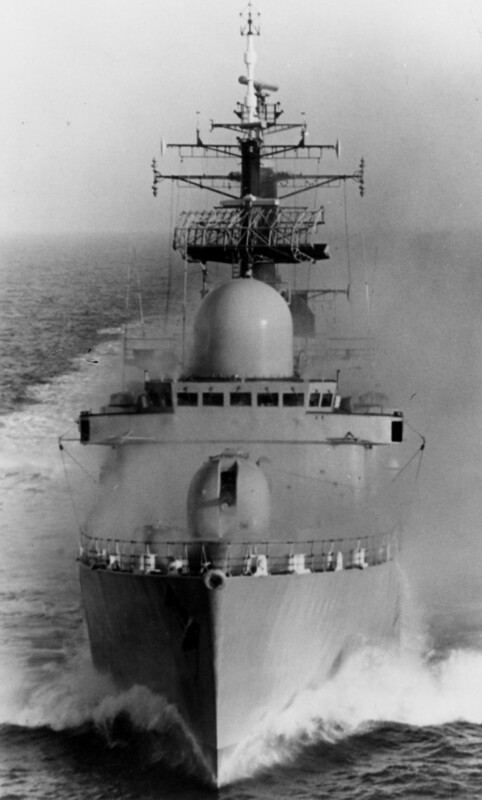 October 1987: HMS Exeter D-89 in the Persian Gulf as part of a multi-national force protecting shipping during the Iran-Iraq War.